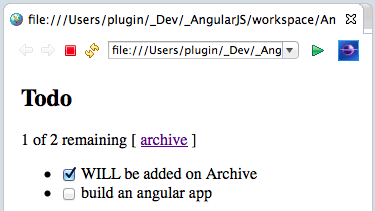 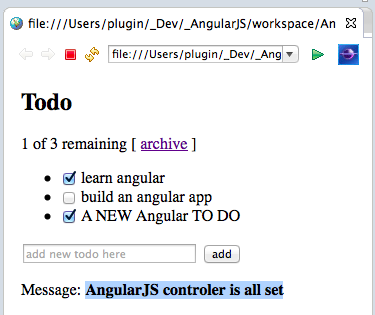 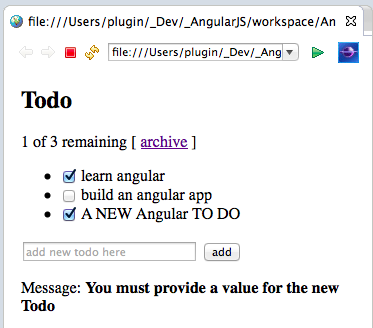 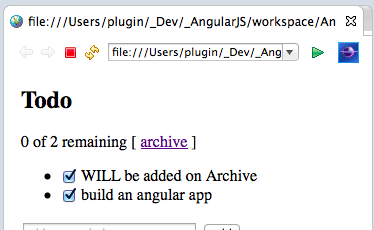 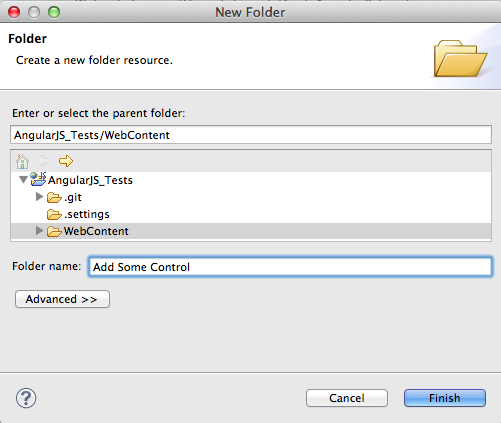 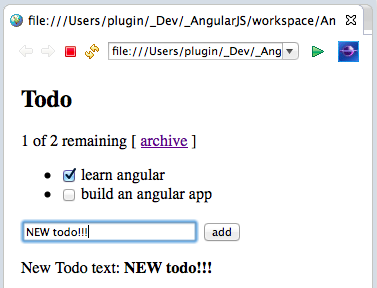 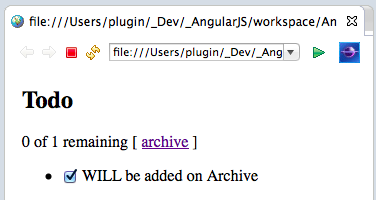 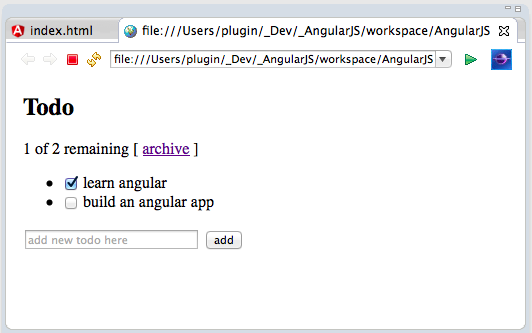 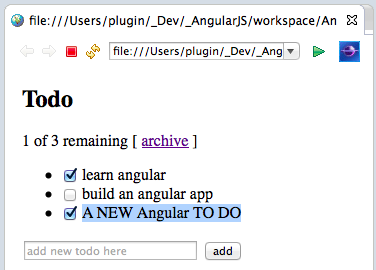 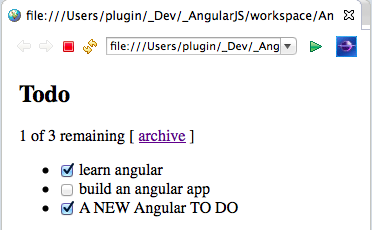 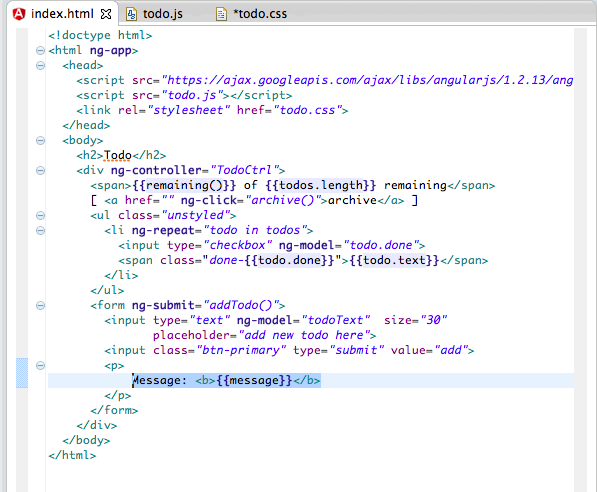 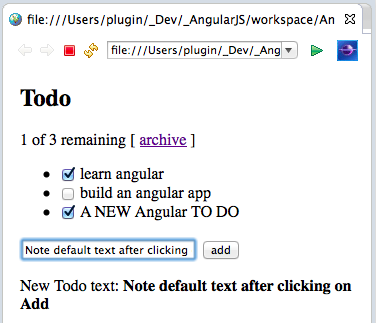 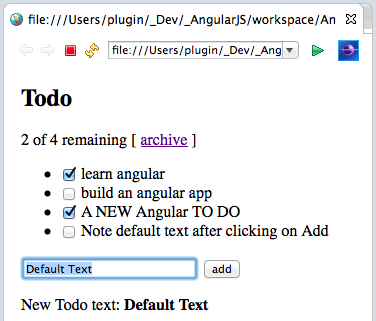 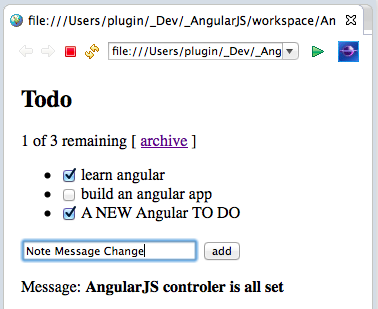 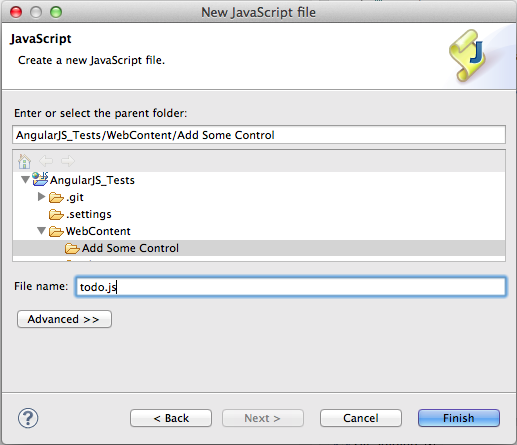 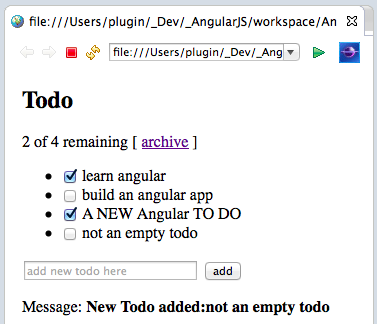 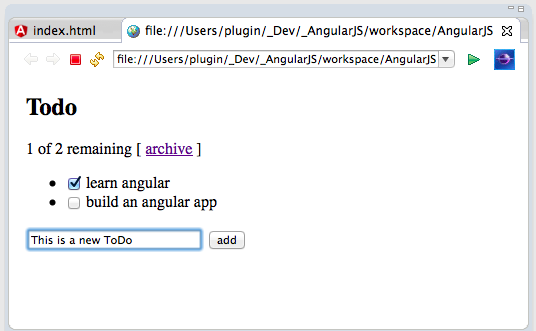 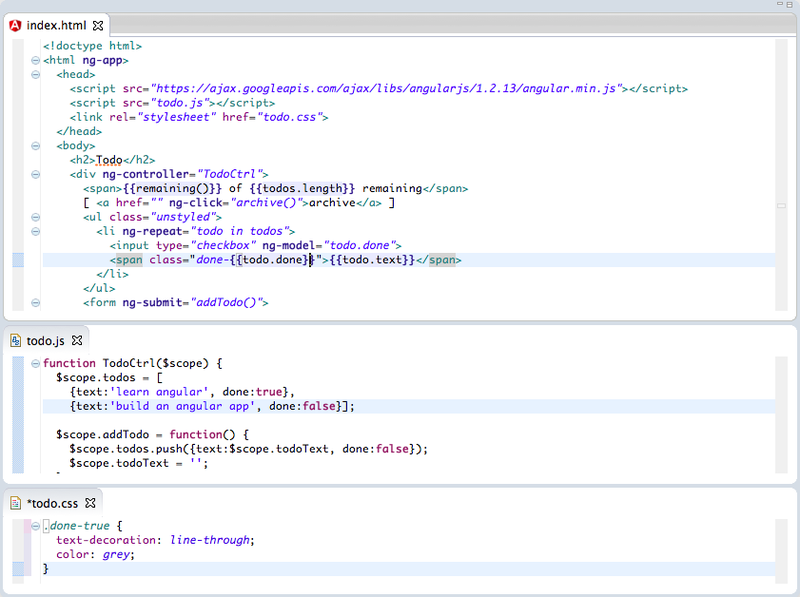 In order to keep the AngularJS_Tests repository better organised, lets put each sample in its own folder. 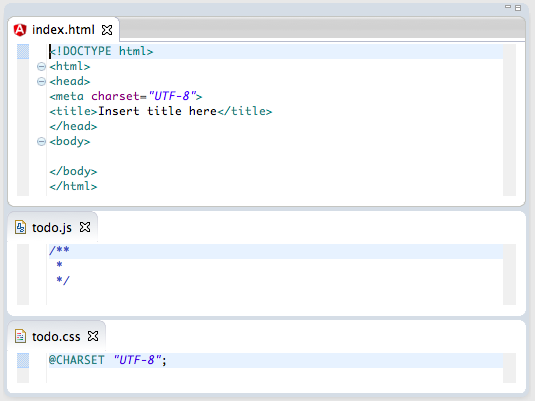 To have a better understanding of what is going on, let's make some changes to the code sample. 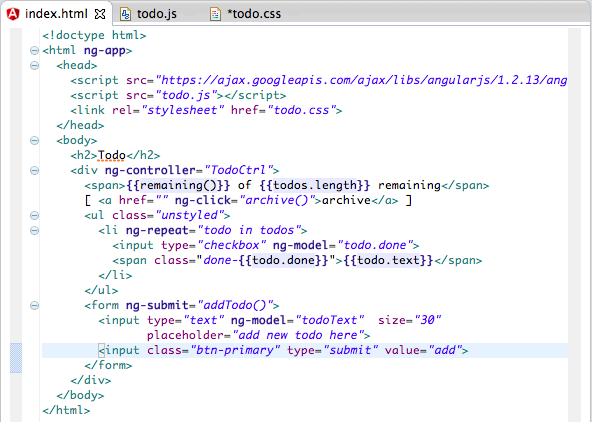 ... which I'm going to modify by adding a new paragraph containing the value of the todoText variable (note that the todoText variable is used on the input HTML element, auto-wired to Angular by using the ng-model attribute). 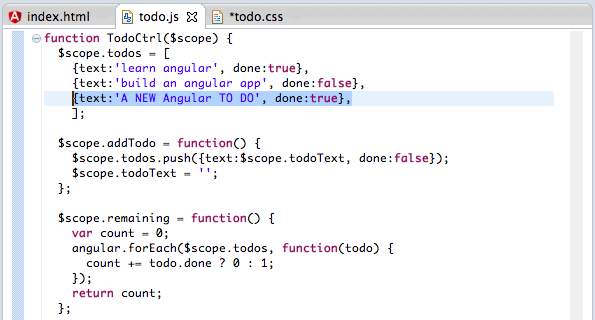 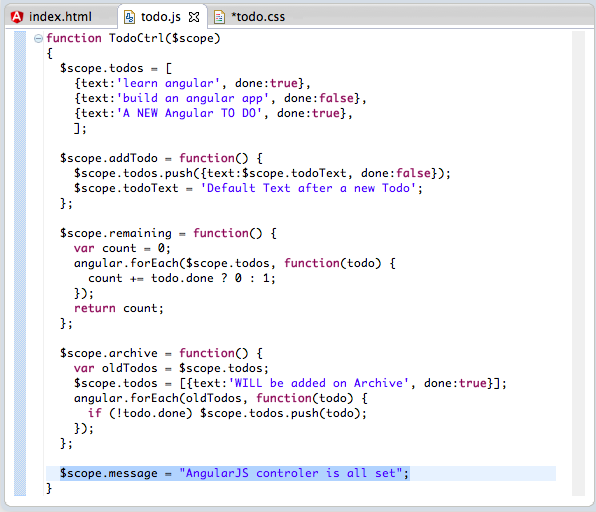 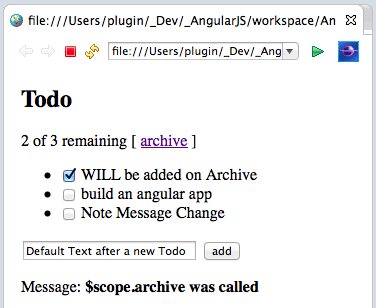 As another test, let's add a new default todo to the original version of the $scope.todos array (see below). 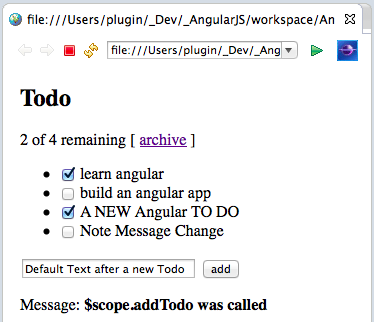 What is happening is that the $scope.todos variable is populated when the TodoCtrl is executed (part of the page build), which is then inserted into the webpage using the <li ng-repeat="todo in todos"> HTML code (see screenshot of index.html above). 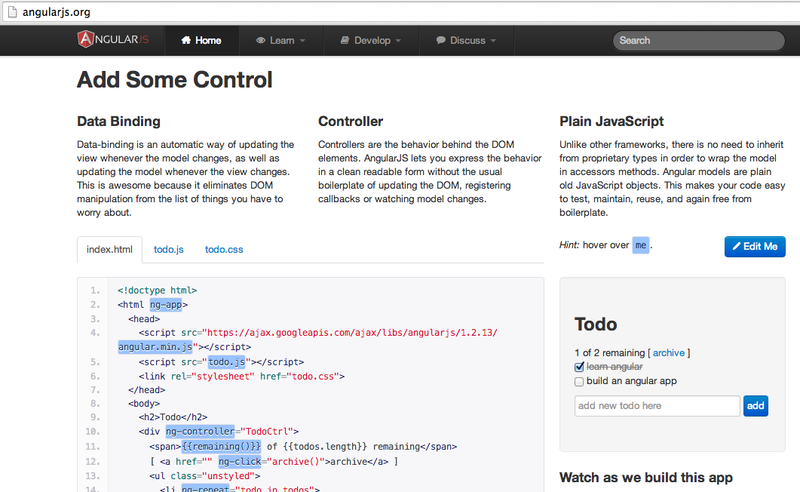 Appendix: CSS not being rendered in Eclipse's browser.